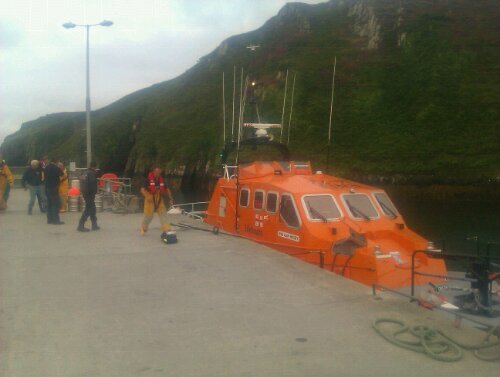 Cape Clear Lifeboat Day produced a shout once again. While en route to North Harbour the ALB was called to a 45ft yacht south of cape. The skipper had been struck on the head by the boom. 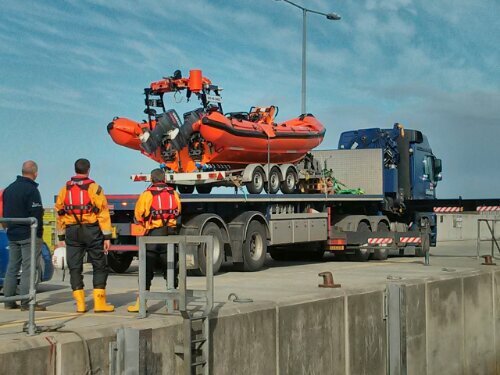 The casualty was transferred to the lifeboat in the shelter of South Harbour and rushed to Baltimore where medical services were waiting. 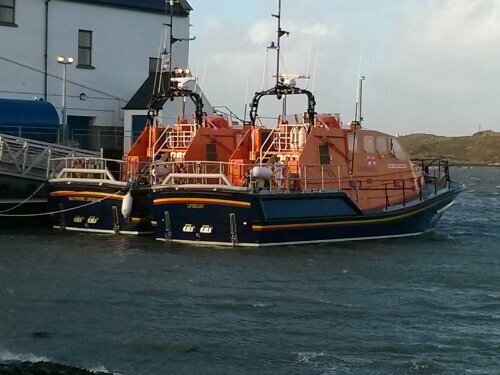 A relief Tamar class ALB lies alongside the Alan Massey, both safe in the lee of the Boat House during the recent stormy conditions. RNLI’s Atlantic 75 Alice and Charles reporting for duty in Baltimore. 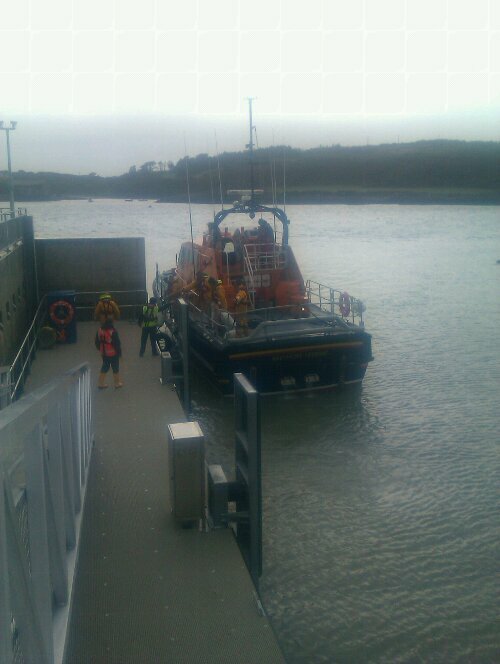 After a swop with Helvick this ILB will be carriage launched from the redeveloped boathouse at Bull Point. 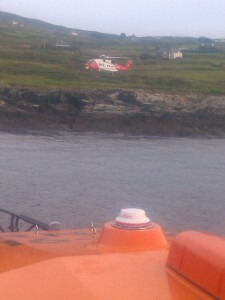 Meanwhile the ALB Alan Massey was in service last night bringing Firefighters and Gardai to a reported fire in Cape Clear. 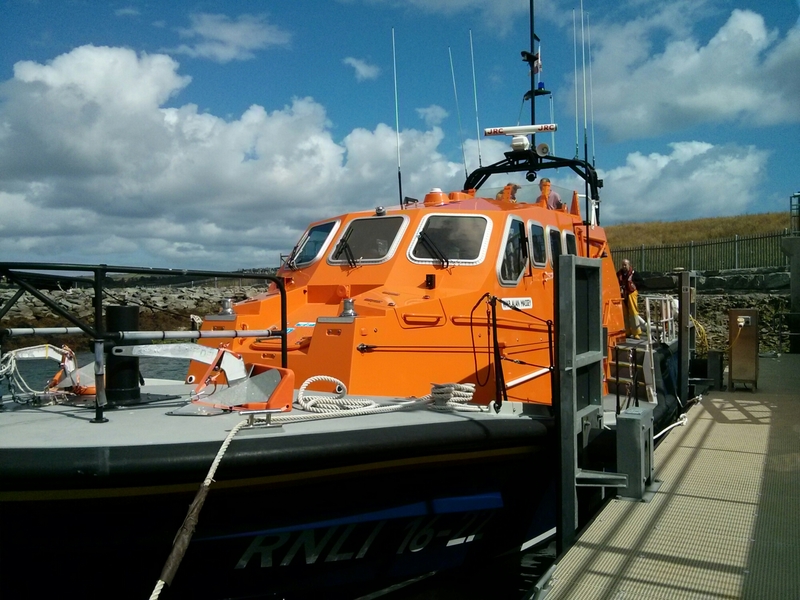 After a rough trip out the Bay in a fresh Westerly wind the fire proved to be a false alarm. Barbecue in Sherkin at the Islanders Rest Hotel in aid of the RNLI. Chef Derry Clarke of L’Ecrivain restaurant in Dublin in charge. Saturday Sept 14th from 3 til the last ferry. The weather looks good so should be a great day. For more details call 028 20116. The Alan Massey manoeuvres into position on her new berth at Bull Point for the first time. 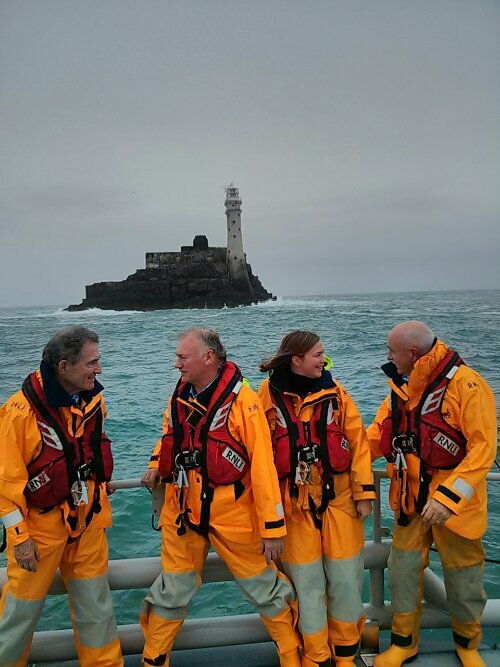 While on a joint lifeboat exercise this evening, the Coastguard tasked Baltimore Lifeboat to carry out a medical evacuation of an elderly male from Cape Clear Island. 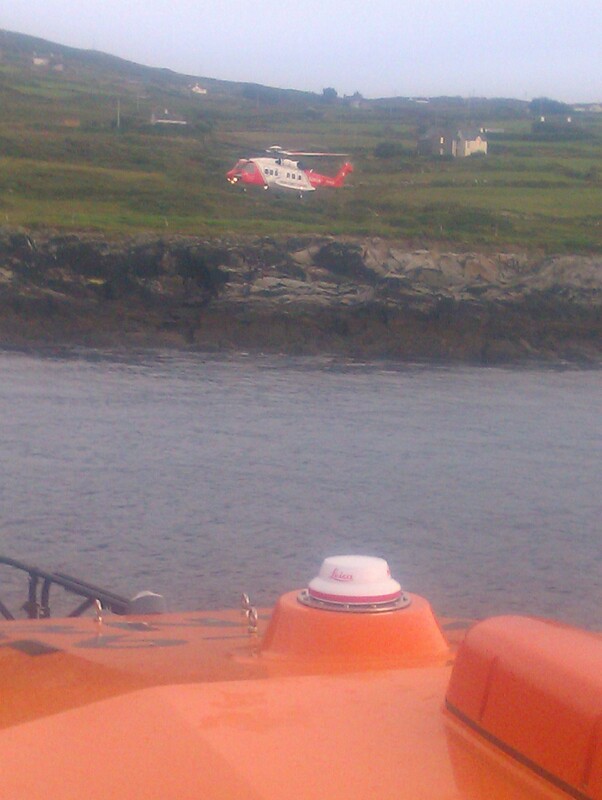 On arrival in Cape Clear the all weather lifeboat crew assisted with the air lifting of the casualty from Cape Clear emergency helicopter landing pad. Meanwhile the ILB brought Lifeboat Medical Advisor, Dr Don Creagh, to the slip near the helipad to further assess the casualty’s condition.